Get the legal representation you need to keep your rights protected in cases of divorce, adoption, and custody. Few things in life present the stress and turmoil as a divorce, legal separation, or other legal proceeding involving you and your family. Why go it alone? Since so many individuals have undergone one or more legal proceedings involving the family, everyone you come in contact with, i.e. friends, family, co-workers, and significant others, are self proclaimed experts. You need an experienced attorney to inform you of your legal rights and obligations and to assist you through this difficult process. Cirilli Law Offices, S.C. has assisted thousands of clients through stressful divorces, legal separations, custody proceedings, adoptions, and juvenile proceedings. Cirilli Law Offices, S.C. will assist you in a knowledgeable and dignified fashion. The attorneys at Cirilli Law Offices, S.C. are recognized and respected by their colleagues as well as the legal system. Before commencing a legal proceeding, it is important to understand what is involved and the specifics to be addressed. Although law is not an area of guarantees, only an experienced attorney can advise you as to the intricacies of family law and inform you of the likely outcome. Due to the emotional nature of these proceedings, litigants do not always exercise common sense and sound judgment. An experienced family attorney can guide the litigant through the difficult process and assist in maintaining proper focus. It is imperative to establish a relationship with an experienced family attorney early in the proceeding. Sound decisions must be made relative to custody both on a temporary and indefinite basis. 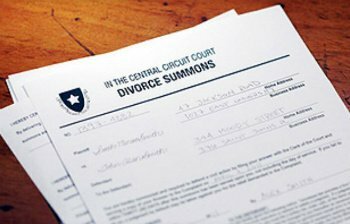 Should a dispute in custody arise, Cirilli Law Offices, S.C. can assist you in a prompt and effective resolution of these disputes. Finances are a critical component of family proceedings. Finances are typically a stressor during the marriage and continue to be a stressor in family proceedings. It is necessary to assure that bills are being paid and to determine who shall pay the bills. Assets must be protected so they are not wasted or disposed of. Insurances must be maintained so there are no devastating gaps in coverage. An experienced attorney will assist you in obtaining the financial assistance either in the form of child support or maintenance during the pendency of the proceeding as well as in the final analysis. Experienced legal counsel is critical to the accurate and fair determination relative to support. Assets such as real estate, personal property, retirement accounts, and other investments must be accurately valued, provided for, and ultimately divided. An experienced family law attorney is necessary to ensure fair and accurate results. Do not rely on an armchair quarterback when entering this process. Individuals inappropriately rely on the advice of friends, family, and co-workers. A child 12 years of age can decide custody! If we have shared placement, there is no child support! If I brought something to the marriage, I get to keep it! If only my name is on the bill, I am responsible for it! If only my name is on a piece of property, I get to keep it! I have no interest in the home since my spouse owned it prior to marriage! These misconceptions can be costly and result in a devastating result for you and your family. Knowing in advance what is involved in the legal process and the likely outcome is invaluable for an individual going through this process. Only an experienced family law attorney can accurately inform you of, and walk you through, this stressful and difficult process. At Cirilli Law Offices, S.C., we effectively deal with family law issues with common sense and efficiency. We are equipped to deal with complex issues involved in any family law matter.